Simple styling, efficient features and light, breathable fabrics make the Evans GT Jersey a must-have of any rider’s wardrobe. Diamond fabric is a light stretch knit with a diamond-shaped construction that provides good ventilation and moisture-wicking. Strategically located Highlander Mesh is designed to provide great moisture management. 3 back pockets plus a multimedia pocket are designed to allow greater storage capacity. In addition, one side pocket has a zip for safe storage while the other allows you to separately store empty gel pouches. At the back hem, a silicone gripper keeps the jersey in place. This comfortable and efficient jersey will allow you to keep your focus on your performance, not on what you’re wearing. 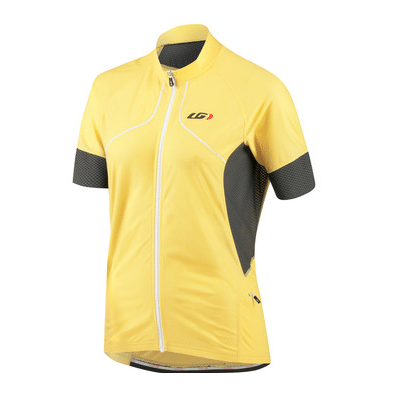 Simple styling, efficient features and light, breathable fabrics make the Evans GT Jersey a must-have in any rider’s wardrobe.